Corn Baked In Olive Oil, With Pepper, Salt And Basil On Blue.. Stock Photo, Picture And Royalty Free Image. Image 107593836. Stock Photo - Corn baked in olive oil, with pepper, salt and basil on blue dish. Tasty grilled corn cobs on old table in the open air. Corn baked in olive oil, with pepper, salt and basil on blue dish. 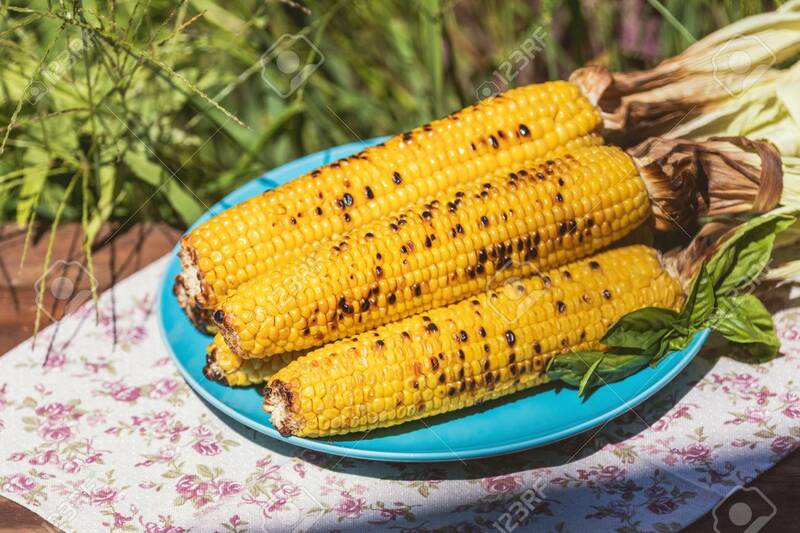 Tasty grilled corn cobs on old table in the open air.